The Australian Mobile Food Vendors Group (AMFVG) own “The Food Truck Park™” brand and have been behind a number of successful food truck get-togethers across Victoria. I checked out their food truck park in Rye over summer and though the set up was rather impressive. 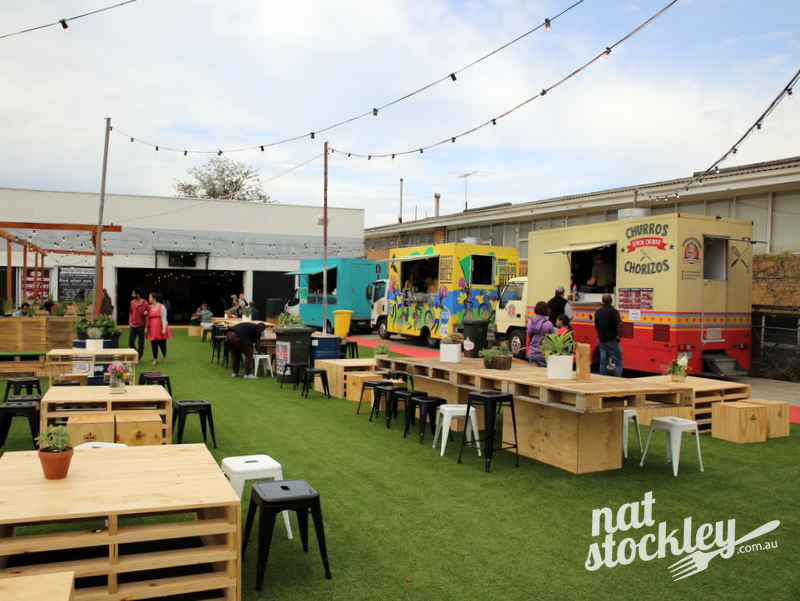 More recently the AMFVG were responsible for a food truck park in Church St, Richmond, and they also operate the regular food truck events that take place at the Coburg Drive-In. 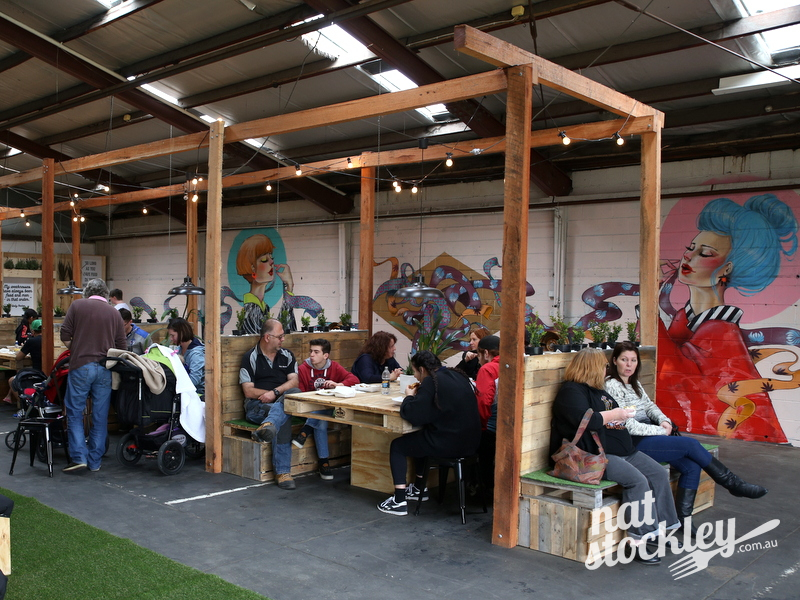 The Food Truck Park™ – Preston is reportedly set to run ‘for an extended period of time’. I’m not sure exactly how long, but I’d envisage they’ll be there until at least the end of summer. 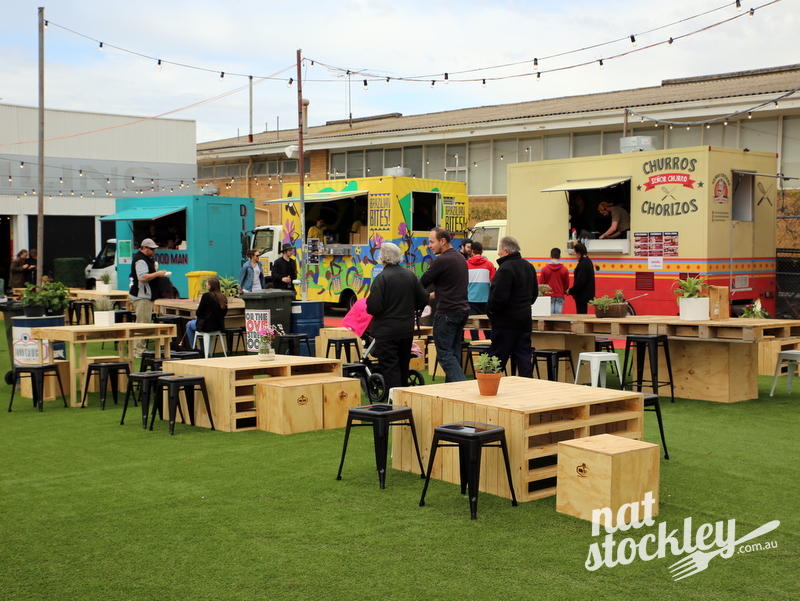 Having visited nearby ‘Welcome to Thornbury’ three weekends in succession, I’m curious to see how The Food Truck Park™ – Preston compares. 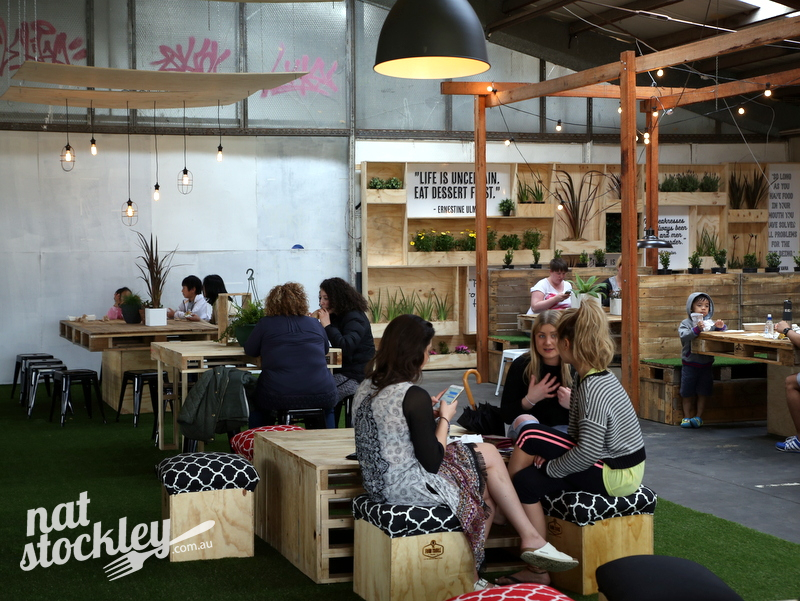 The site includes a mix of innovative indoor and outdoor dining areas with recycled timber pallets & artificial grass featuring prominently. I thought the booth seating they had constructed was rather ingenious. 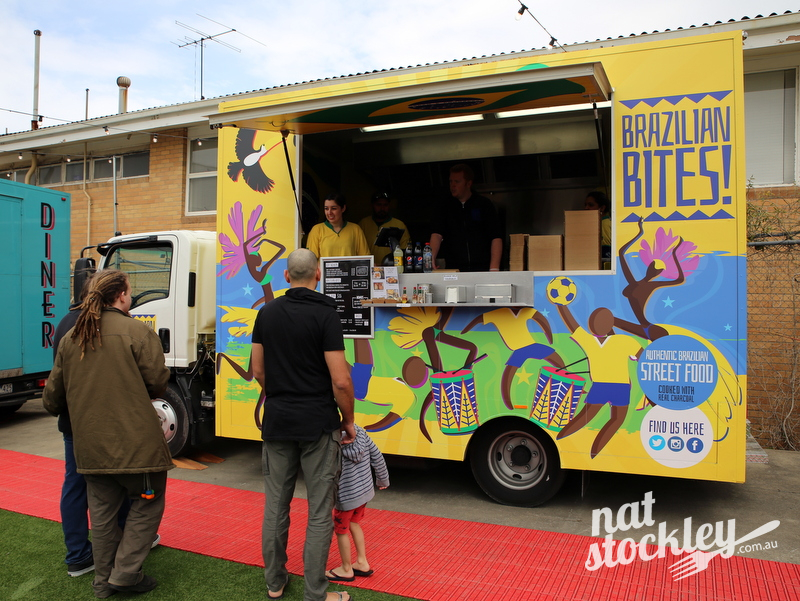 In terms of food trucks, it appears the selection available is on par with that up the road at Welcome to Thornbury. 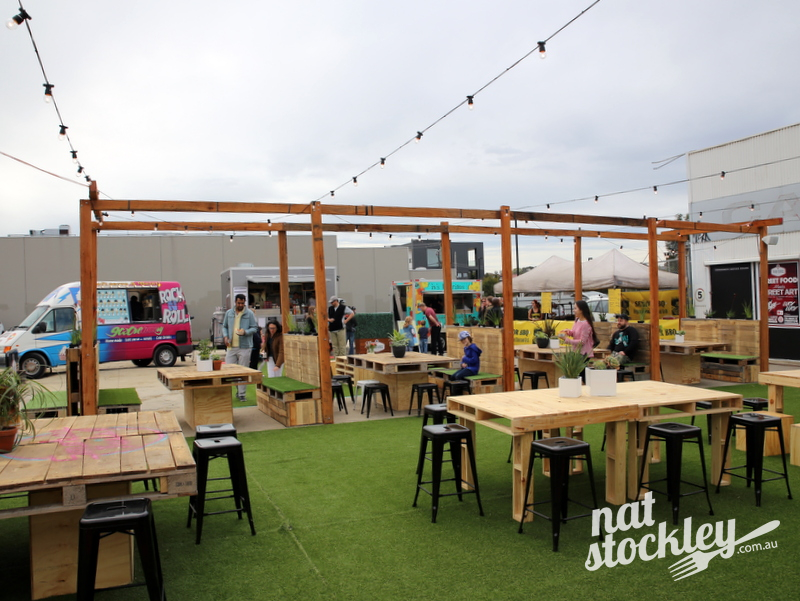 If anything, The Food Truck Park™ – Preston may have a slight advantage with the ability to hold more food trucks/vendors onsite. 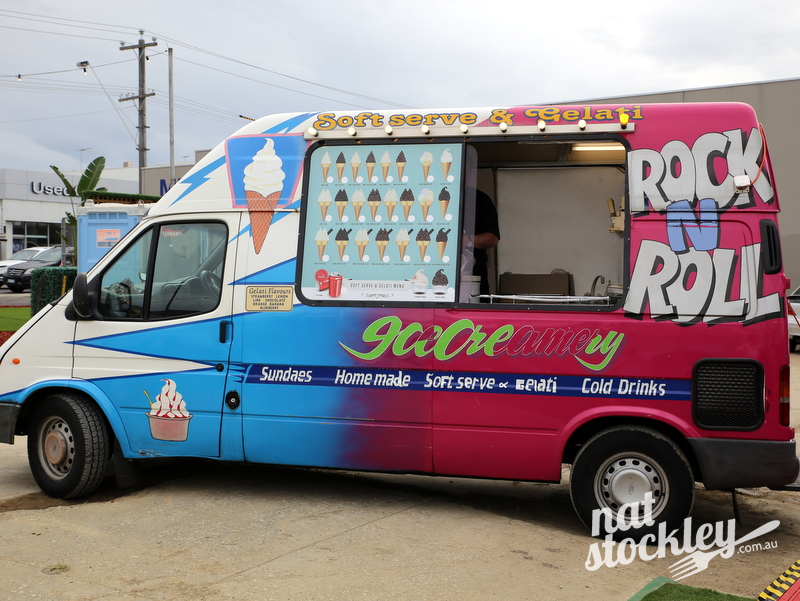 As is the case at Welcome to Thornbury, the actual line-up of food trucks changes daily. Some may be disappointed to learn that there isn’t a bar onsite, but no doubt this fact may be a drawcard to others, particularly families with young children looking for a relaxed alcohol free environment. 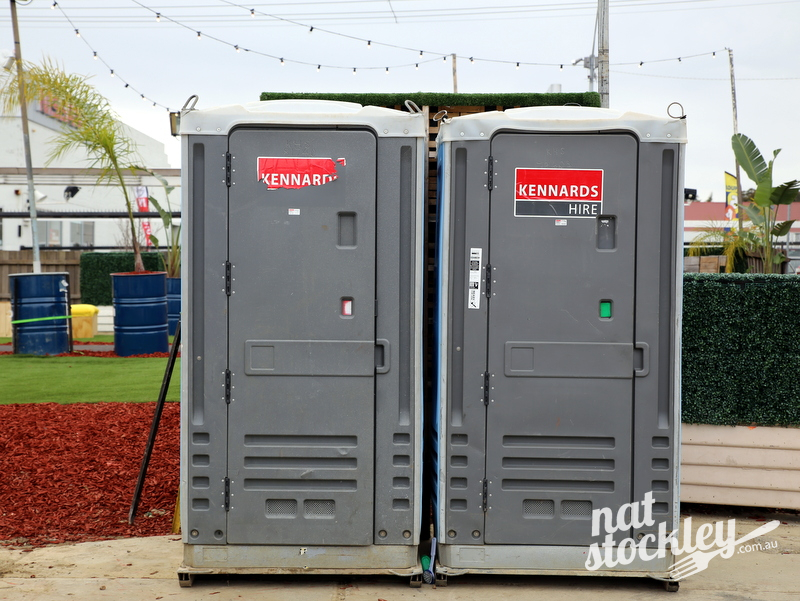 I had one gripe with The Food Truck Park™ – Preston, and that related to the toilets which I thought were quite disappointing. Surely they could hire some more appropriate bathroom facilities for the site? 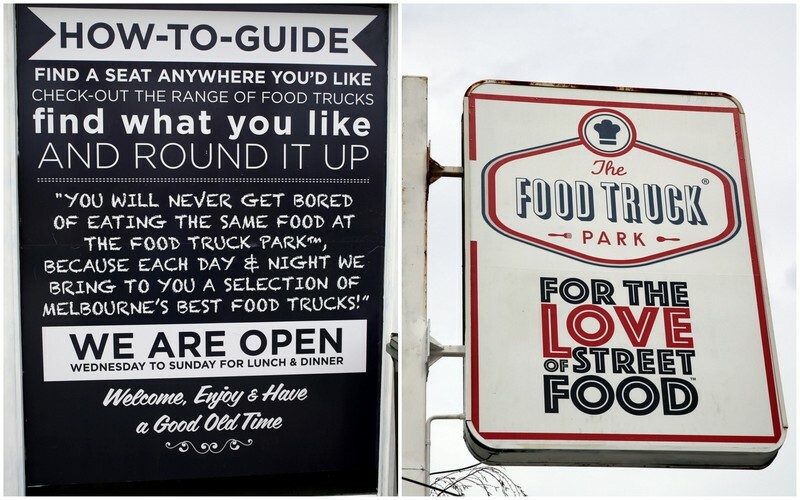 Overall though, I’m undeniably a fan of The Food Truck Park™ – Preston and predict it will be a big hit with the locals. 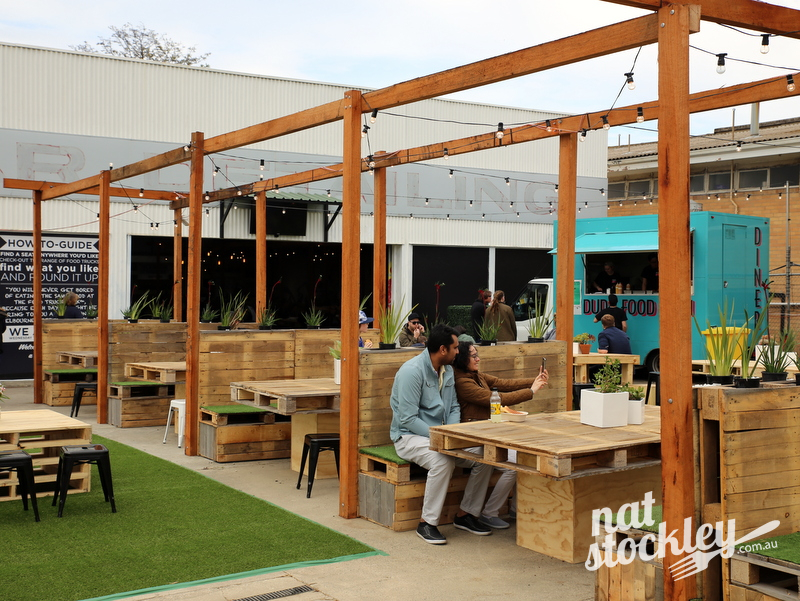 The Food Truck Park™ – Preston operates Wednesday to Sunday from 12.00pm to 2.30pm for lunch and from 5.30pm to 9.30pm for dinner.